Home Barefoot Natural Trimming, What Is It? Natural Trimming, What Is It? The horse hoof is a magnificent piece of workmanship. It is complex, yet simple. It is a pump and a shock absorber. In order for it to do it’s job properly, it must be allowed to flex, contract and expand. 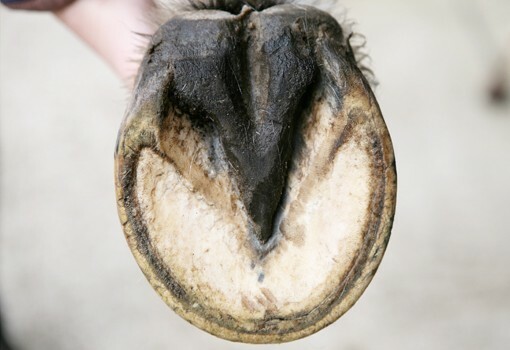 The barefoot hoof supports the horse, not just the outer wall. When allowed to work properly it reduces fatigue, soreness, most lame cases and a host of other horse hoof problems. Remember the last time you tried to break in a new stiff pair of boots or shoes? Your feet hurt, your legs were sore from walking and you had trouble bending and flexing your feet. In addition your back probably hurt and all you could think of was going home and getting those shoes off. Imagine walking on steel shoes all the time! 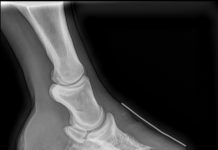 Horses that live in the wild do not suffer from laminitis or navicular disease. Their heels aren’t contracted and they do not have quarter cracks. They rarely suffer from lameness. Their hoof walls are thick and their soles and frogs are tough as nails. 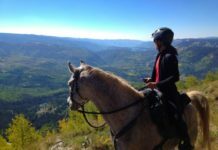 These horses living in real rough terrain are very hardy. 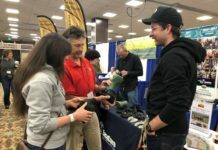 We can help domestic horses grow the wild horse hoof to a certain degree. With common sense and Natural Hoof Care we can come close. Previous articleBoots Working in the MUD!